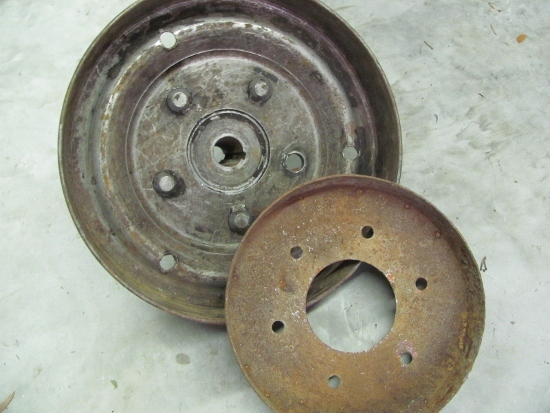 Model T Ford Forum: How can I use wire wheels with small rear drums? How can I use wire wheels with small rear drums? Model T Ford Forum: Forum 2018: How can I use wire wheels with small rear drums? Wondering how someone can make the pre ‘26 small drums work with 26/27 wire wheel hubs and wheels. Is there a spacer someone makes? One way is buying the adapters from the various T vendors. The adapters bolt to the wooden hubs for front and back using the six holes in those hubs to the six holes in the adapters , using grade #8 bolts. the bolts come with the adapters, but they aren't cheap - now a little over $600 for the four adapters. I did this with Model A wire wheels, that have the 5x5.5" bolt pattern. 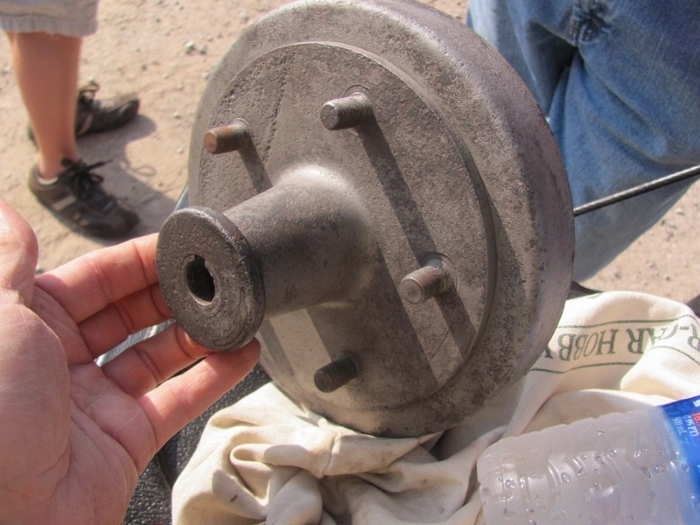 Model T wire wheels have 5x5" bolt pattern. Hope this helps! What if I want to use proper wire hubs? I acquired a 26 Ruckstell and replaced the earlier rear end and drums, obviating the need for any spacers or other work. I suspect you can put 26 backing plates and brakes on an earlier rear end and the wire wheel hubs would fit just fine. Right, but I want to use my small drums and not alter my rear end going through the effort changing backing plates, etc. I want to use a set of period correct ac brakes and they’re only made for small drums. 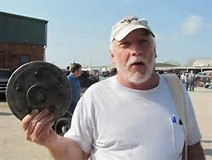 You would have re-drill the small drums for 5 bolt pattern to mount the small brake drums to the wire wheel rear hubs. Buy and install new studs which have to be swedged into place to hold the drum to the hub. One of our club members has that set up, including the AC brakes. Besides, not only are the wire wheels mounted to the back of the hub the center section also is part of the support for the wheel. You can not put 26/27 backing plates on earlier rears. The spacing is different. Next best is what Mark posted. Get a set of '26-'27 rear hubs for the wire wheels, remove the large drums, and replace with small drums that have been re-drilled for the hole spacing of the wire wheels. New studs and you have it. To add, someplace I seem to recall seeing small brake drums that were not drilled for sale. You might have to spend some search time looking for them. Believe you can custom order from McLaren the small drums un-drilled, he makes these. Dan thank you. That was fast! Dan beat me to it. McLaren was kind enough to take a small drum and drill the 5 holes in the drum. This way you know they are accurately placed. I removed the large drums from a set of hubs, and installed the small drum. Much less expensive than purchasing the adaptors from a vendor. They work just fine. I know where a set is. Wow That's cool if McLaren would drill the small drum to fit the wire wheels, even if they charged a small drilling fee. Awesome. Thanks for the info guys. One issue: I’ve tried contacting mclaren a few times over the past year with no response. Is the email on the website correct? Is there another email address? I also attempted to contact McLaren regarding the same drums to convert - never made contact ! John McLaren sold his wheel business to Mike Lebsack a year or so ago. John's son Mark has the American Vintage Rims business. I think he would be the one to contact about drums.